Worksite Fitness and Rehabilitation (WFR) takes pride in the fact that our services have resulted in health and safety improvements within many workplaces nationally, and that sustainable cultural change has been achieved through the ongoing implementation of WFR’s approach to creating healthy businesses. Our services are provided to businesses from a broad range of industries including Mining, Energy, Construction, Transport and Logistics, Manufacturing, and the Public Sector. WFR has delivered a broad scope of services to BHP's Iron Ore division since 2006. Programs focused on improving employee health and well-being, and reducing musculoskeletal injury risk are currently delivered across mining operations and locations to various work groups with excellent engagement and program outcomes. WFR and QUBE have worked together on a national injury prevention strategy since 2012. WFR has delivered services at over 20 locations nationally, focusing on manual handling and ergonomics training for Stevedore and Driver workgroups. The CBH Group is Australia’s largest exporter of grain. WFR has partnered with CBH since 2014 to improve the health status of the employee group and reduce musculoskeletal risk in the workplace. 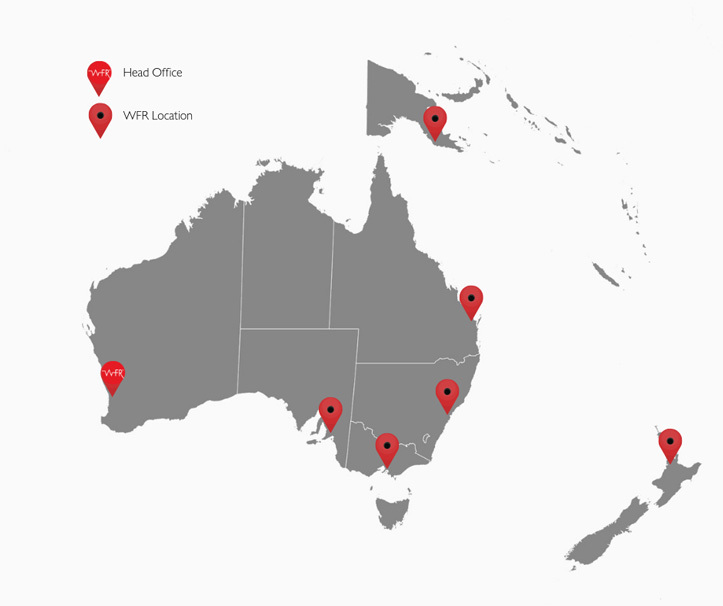 WFR delivers its services to the Perth Corporate Office employee group and all regional locations. 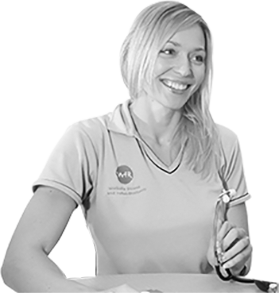 WFR works extensively with Newmont Mining in Australia, partnering with both Boddington (WA) and Tanami (NT) operations to deliver a full scope of health, fitness, exercises rehabilitation and injury prevention services. WFR also support Newmont's corporate office employee group with a customised health and wellbeing program. Previously the Quadrant Energy business, Santos has two offshore and two onshore locations that WFR support with a tailored health, fitness and injury prevention strategy. Excellent participation and engagement by the employee group provides a high-value outcome for Santos. Commencing in early 2018, WFR and Bis Industries have partnered to develop the BisFIT program. Over 15 sites / locations have benefited from the program to date, consisting of Health 100 assessments, Healthy Driver support, Action in Motion consultations, Musculoskeletal Injury Awareness workshops, plus much more. WFR partners with Asahi Beverages to deliver a comprehensive health and wellness strategy. The level of engagement and success of an initial WA program has resulted in the initiative being extended nationally. Initially implementing a Health 100 assessment program, the strategy now involves a regular Healthy Lifestyle Program being delivered to all manufacturing and distribution locations. The global leader in elevator installation, modification and repairs, TKE engaged WFR's services to support them with Manual Handling training and education. A TKE-customised program was developed and is now delivered across the Australia and New Zealand region. Northern Star Resources initially engaged to delivered a customised musculoskeletal injury prevention strategy for its group of mining operations across Western Australia. This initial project has now been expanded to include a broader scope of health, fitness and well-being programs. Part of WFRs growth and development strategy is to continue to deliver our services throughout Australia and internationally, and be recognised as the leader in our industry.